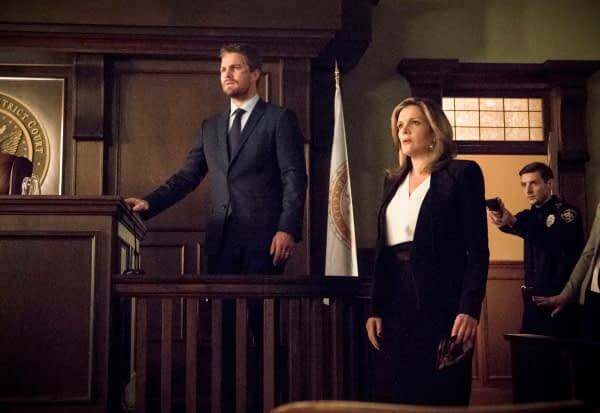 This season of Arrow has been building to a big finale between Oliver Queen (Stephen Amell) and Ricardo Diaz (Kirk Acevedo), and both Amell and outgoing co-showrunner Marc Guggenheim have said that things will happen in the season finale that are game changers and won’t be undone. There has been a lot of speculation about what means, and I won’t get into it here, but it could make for a very different season 7 of the series — one that will have a few less familiar faces around. These are long-lasting ramifications. What happens between he and Felicity will last for a long time, what happened between he and myself will last for a long time. Likewise, whatever recovery that happens during season 7 will not happen quickly. Ramsey appears to be confirming that there are going to be some drastic changes in the finale on May 17th, and they won’t be magically fixed prior to the new season kicking off.